Following the fifth edition of The London Coffee Festival, Allegra Events is proud to announce the winners of this year’s London Coffee Festival Awards. Both industry and consumer visitors voted for their favourite stands, festival experiences and most innovative products as part of the post-event survey that attracted almost 1,500 votes. With eight awards available – and more than 250 exhibitors – competition for each highly coveted award was fierce. Union Hand-Roasted took home two awards, with their Pop-Up Roastery being voted the Ultimate Coffee Experience – for the fourth year running – and the Most Engaging Stand Experience. Founders Jeremy and Steven brought along their San Franciscan roaster to demonstrate live roasting and visitors could also take part in the exciting Pro-Am Flavour Challenge. Jeremy Torz, Co-Founder of Union Hand-Roasted said: “This year’s festival has proved that passion and excitement for specialty coffee is still growing. We are pleased to have won both Ultimate Coffee Experience and Most Engaging Stand since spreading the joy of coffee is what we love to do most. La Marzocco also won two awards, including Favourite Key Feature for the party atmosphere of the True Artisan Café with live DJs and exciting signature drinks from more than 30 European coffee shops. The espresso machine manufacturer was also awarded the Most Innovative Product Industry Award (voted for exclusively by members of the coffee industry) for its new Linea Mini domestic coffee machine. The Most Innovative Consumer Award went to Minor Figures for its popular cold brew and Arancini Brothers took home the award for Favourite Food Experience following the popularity of its risotto balls. “Thanks to everyone who attended, LCF, and Allegra for another great show. It was a pleasure to be a part of it and see London’s coffee culture continue to flourish. This is first time Minor Figures Cold Brew has attended and we will be sure to be back,” says Minor Figures Co-Founder Stuart Forsyth. Starbucks took home the award for Favourite Stand Design, with their stand this year inspired by the new R roastery in Seattle. Ian Cranna, Starbucks Vice-President for category and marketing in Europe, the Middle East and Africa, said: “The London Coffee Festival is a high point of our year and it means a lot to have our stand voted the Visitor’s Favourite. 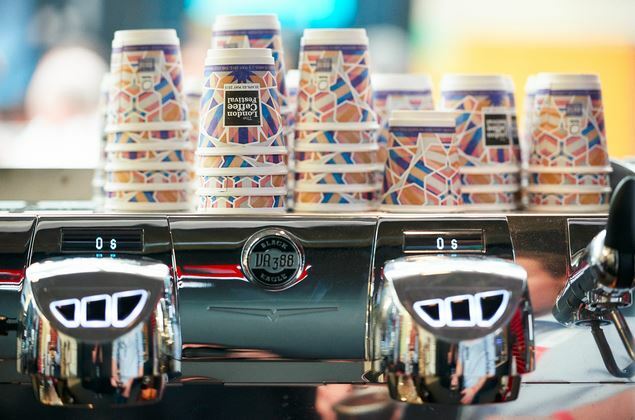 The London Coffee Festival took place from 30 April – 03 May 2015 with more than 23,600 visitors across the four days. Dates for next year’s festival have been announced as 07-10 April 2016 and exhibitor bookings are now open. The London Coffee Festival has also created a new event, The House of Coffee & Co. which will take place at Victoria House from 05-08 November 2015.